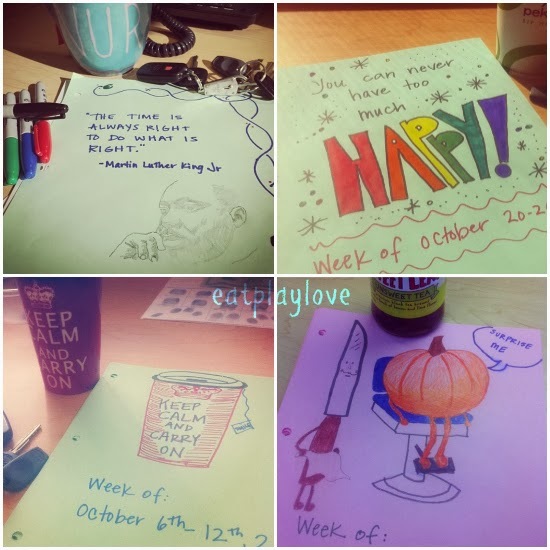 Here's another glimpse into my time sheet doodles from the Fall! The unicorn was the very first one I started to try to get more creative with, which is also a pitiful representation of a unicorn. I also took photos of the books from around the floods, interesting to see how I tried to lift spirits those two weeks (not pictured)! 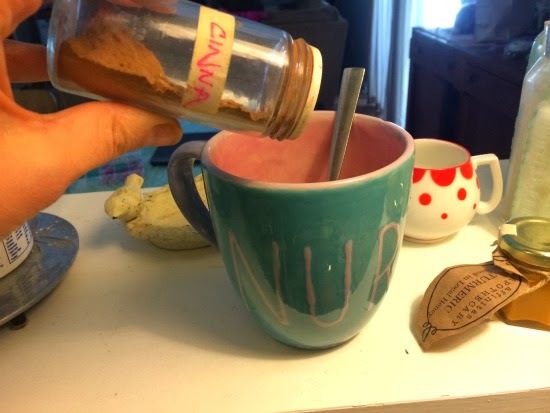 When I sprinkle some cinnamon on my morning coffee, it certainly is to reap the rewards of the health benefits. But, mainly I choose to participate in the ritual because it brings me closer to a friend I don't get to see often enough. Apparently, cinnamon is believed to improve cognitive function and memory, but I believe it triggers moments of happiness in my brain. The sight of the jar and aroma brings me back to her kitchen, a cup of hot freshly brewed coffee in my hands, her lifting the jar of cinnamon and sprinkling in just the right amount. The conversation just carries on. What's Cooking? 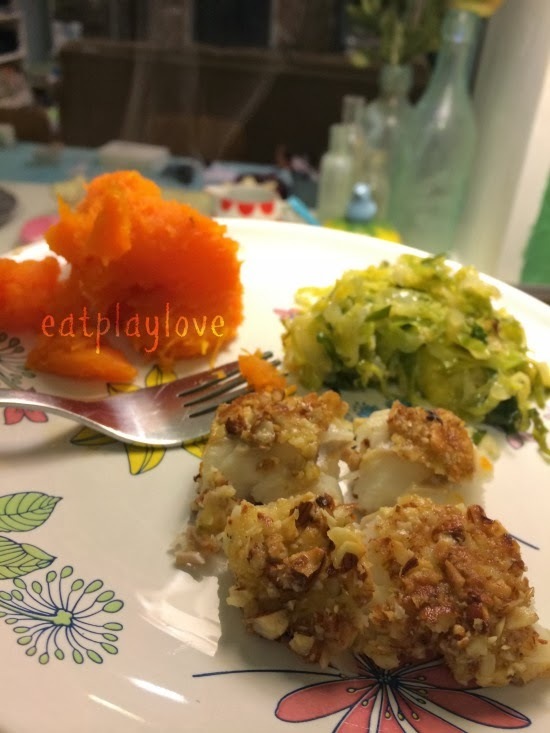 Almond Crusted Paiche With A Whole Foods Market Giveaway! In our home, fish gets into the dinner rotation about two to three times a month. I love pretty much the entire gamut of seafood, but our girls are a bit more particular. We tend to cook white, mild, buttery fish for them. I noticed a fish called Paiche at the seafood counter during my last trip to Whole Foods. Paiche comes from South America and fit our criteria, so we decided to branch out and give it a try! We (and by we, I mean Josh) "breaded" the Paiche in egg and crushed almonds and pan fried it lightly, which gave the white flesh of the Paiche a lovely crunchy texture. We served it with a roasted sweet potato and sautéed shaved brussels sprouts. If you'd like to learn more about Whole Foods Seafood and their sustainability efforts, please check out their wealth of information here. Casual dining restaurants have been shuttering for years now in Boulder. This weekend the Olive Garden has joined the ranks of many of it's competitors, citing Boulderites loyalty to their favorite locally owned eating establishments (oh and we hate crappy chain restaurant food). 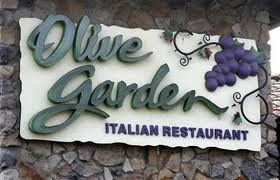 Every time I drove by the Olive Garden on Pearl Street, I thought oh yeah, Boulder still has an Olive Garden and then my thoughts immediately went to, how in the world is that place still bringing in customers? On Friday afternoons our school has early release for a regularly scheduled faculty meeting. Sometimes outsiders of our community gasp at the notion of their children being released at 12:30 for the weekend, but I absolutely adore it. Recently my girls have been playing with my office mate's girls for a couple of hours while we continue to work. 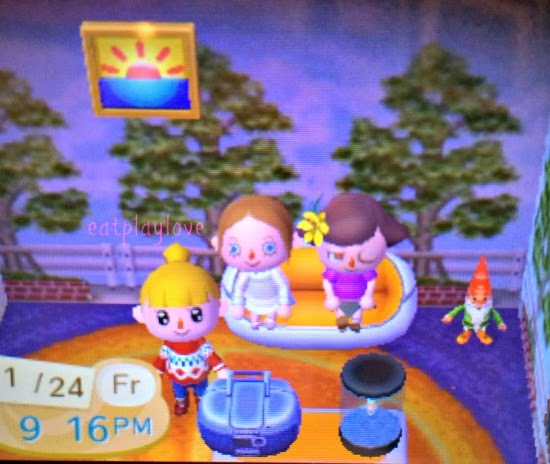 The four girls (ages 7 to 11) all have their own Nintendo 3DS and Animal Crossing New Leaf which they have started to play cooperatively on Friday afternoons. By cooperatively I mean, the girls can actually connect within the game, and interact. Each of the girls bring to the table their perspective of the game and it turns into this incredibly fun filled couple of hours. Of course I wanted in on the fun, so I had to run out and buy Animal Crossing New Leaf for my 3DS. 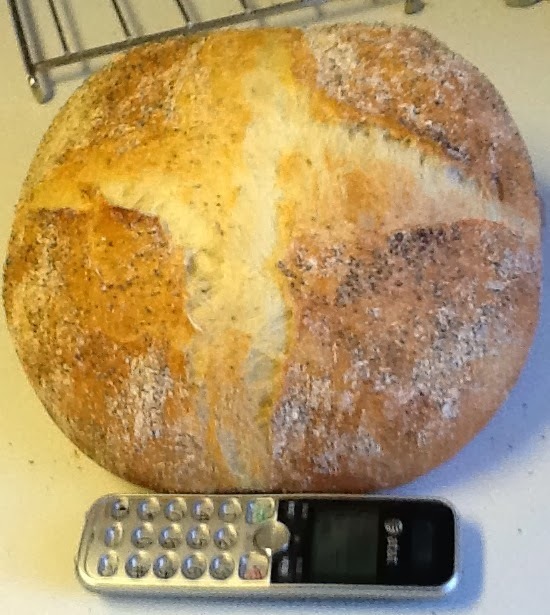 My father has been working on baking bread for years, with mixed results. I think sometimes the internet can provide too many resources. I was browsing a kitchen shop online and came across the Average Joe Artisan Bread Kit, so I decided to send it to my father, Joe. It was sort of a joke, but from the reviews I read I was hoping he'd find success with the bread kit. Well, he's moved on from the ingredients that came with the kit and using supplies from the grocery store. I am happy to report, the bread baking is a success! Take a look at his latest loaf. Now I need to convince him to ship us a loaf from NY. Maybe you've noticed I'm actually blogging on the regular again. Let's flashback to 2008 and relive the good ol' days by revisiting one of my all time favorites, Thursday 13. All my blog posts have labels, you can click on a label and see other posts I've written over the years on the same vague topic. The last Thursday 13 post I wrote back in 2009 was titled, Thursday 13: Ways Bloomberg Could've Spent the 100 Million Dollars. Thanks to a combination of iPhone notes and the voice memo apps, I am able to quickly write down snippets of ideas I have to turn into blog posts. Well that's the idea anyway. Let me confess, at the time they seem brilliant. Sometimes looking back over the list I have to grasp at what in the world I meant by my three or four word whim of inspiration. Today, I am revealing the inside scoop on random thoughts that have yet to transpire in this space, but they will. I swear they will. While I did enjoy my fair share of sugary cereals as a child, Honeycombs being one of my favorites, I gave up the cereals from my childhood when I became an adult. My body can't handle a ton of sugar in the morning and I really need to go heavy on the protein to make it through until lunchtime. We really try to keep sugar content and ingredients to a minimum when selecting breakfast cereal for our girls. I consider cereal to be a backup breakfast plan, we typically love a hot breakfast in the morning, but we know that's not always realistic. There once was a time when I had a few hours to myself in any given week, I would desperately fill those hours up with things to do and people to see. I hated being alone, I avoided being home alone like the plague. The night before I would send out texts, want to meet for coffee, should we do lunch, hey want to hike and then grab a bite, how about shopping? Then after my meet up, while I was out, I'd just run in to Target to pick up a few things. Oh hey, look at that, it's time to pick up the girls, ALREADY! I didn't really understand the pattern I had fallen into at the time, but now I see it very clearly. I see how I filled my precious alone time with shopping. I didn't know how to nurture myself. A little yellow plastic cap drops on the floor, I can hear it clink and bounce, all the way in the kitchen where I am preparing dinner. My daughter doesn't respond to the cap falling, she just continues writing in her journal on the sofa. The green plastic pouch now flat after consuming the applesauce contents, gets casually tossed onto the coffee table. I've fallen victim to the convenience in snack food trends, those damn applesauce pouches. After the girls go to bed, I head into the family room to catch a movie, and wind down for the night. SON OF A… I bite my lip. You may have guessed what happened, but if not I'll tell you. My bare foot stepped right on the pointy twist off side of the applesauce pouch cap. In that moment I decided that's it, I'm done. 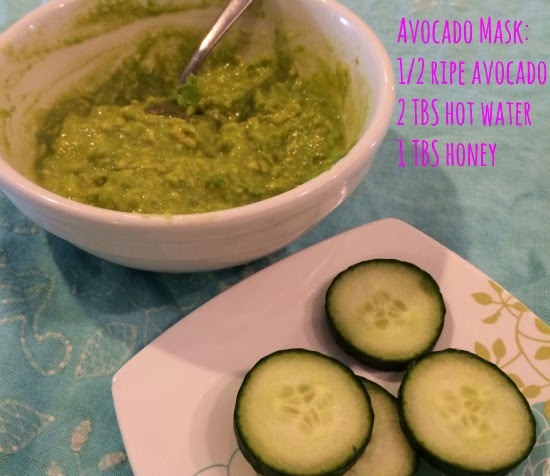 Avocado + Honey Face Mask, Spa At Home in Minutes! My daughter and a friend wanted to recreate a Spa experience while they were having a playdate. I couldn't say no, I thought it was a very fun idea, so I turned to the internet for natural face mask recipes. I have no idea why avocado and honey make a good face mask, but I will say the honey certainly helps to keep the avocado sticking to your face. Our mask did not turn out anything like the photo, so I would suggest using an immersion blender or throwing the mixture in a Cuisinart, as our mask turned out very chunky and well the chunks would slowly give in to gravity. Dissolve the honey in the hot water, mash in avocado (or use a mixer). Apply to face with fingertips or a brush. Avoid your eyes and mouth. 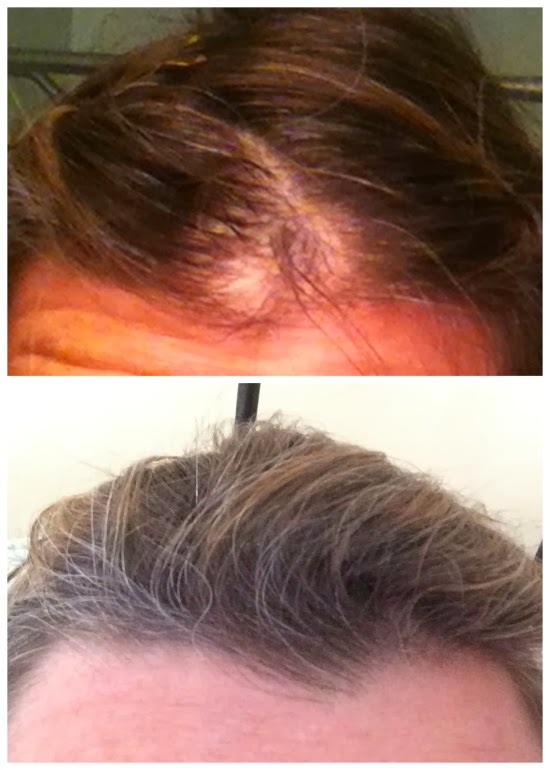 After 10 minutes, rinse with warm water. Enjoy the glow! This photo shows the texture of the mask. Next time, I will use tools. One of the tasks of my job is to maintain the weekly time sheet notebook where the part time staff record their hours. I've whittled down the list of names and finally gotten into a rhythm with the process. The jest of it is, I simply swap out of dates from the previous week to the new week with my favorite shortcut, replace. I have a strict rotation of 4 different colors of paper I print the time sheets onto. The front page of the time sheet is just a landing spot, so I have decided to fill it with something whimsical, typically a quote and a doodle. 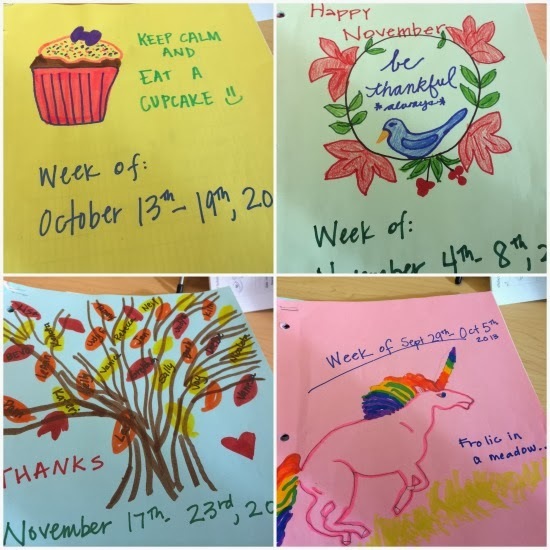 Although I don't love my printing and most weeks I turn to the internet for inspiration, I've received a wonderful response from my coworkers. Now they look forward to what the next week will bring! I've come to realize that this is a small way I can nurture those I spend my days with. I want to make my office mates smile and know I appreciate them. If a doodle does that, then I shall keep at it! Even though I have a surplus of thoughts and words that dance in my head, sometimes I struggle with which ones I should put out into the world. Many times I grapple with how to best craft words together to create harmony. But… the bottom line is, I don't feel like I can be completely open and honest here. I always take into account the ramifications of being an open book when it comes to relationships, family, and many aspects of my life. On those occasions when I bravely have the courage to put words here that I may want to hide, it feels like the smallest most sunshine filled triumph. LeSigh. I'm torn, one way or another. Before the lights went out, I rolled over to pull my down blanket up over my shoulders when I became acutely aware that my t-shirt matched the color of my bedroom walls. Currently that is Benjamin Moore Lemon Sorbet or see through Uniqlo cotton yellow. My bedroom is the only room in our entire house that has yet to be repainted, the last hold out, a lingering reminder of the former occupants. I don't care for the color, but haven't quite mustered the energy to select a new color because I'm so darn particular about paint. The intentions were set, a glimpse of a bunny shaped pan turned into a request for a bunny 7th birthday cake. After the cake was frosted in pink, the bunny part became fleeting and an inspired Totoro was born. Inspired is the key word here because we know Totoro doesn't have a mustache, all the same color fur, or holey ears. Now that I think of it, our pink Totoro is missing whiskers, feet, arms, and our favorite Cheshire smile. Never mind with those details, just use your imagination. It made the birthday girl happy, the bunny-Totoro cake will definitely be one to look back and laugh at remember. When you step on a scale and the number seems so incredibly disjointed and foreign from the last time your bare feet curled up and stepped on, I absolutely hate that feeling. I experienced that this weekend and it left me disheartened and confused. The only connection I could make was that I went out with friends on Friday night and had a few drinks, definitely a couple more than my normal one or two. My body clearly held onto every ounce of water I inhaled on Saturday in an attempt to swing the pendulum back and hydrate. Gross. The Golden Globes have always appealed to me because the up and coming actors get to hob nob with Hollywood royalty. Television's gems sit across the table from Martin Scorsese's muses. While over the decades I've watched my favorite Hollywood actors take over for the powerhouse generation before them, last night I felt like I was watching my generation step aside. I know it's just me, but the new comers filling the shoes of Gwyneth and Julia, just don't seem to have the same depth and brilliance. Maybe it's Hollywood losing it's depth and brilliance. Overall, I think the night was a wonderful representation of Hollywood, kudos for a well rounded representation of the finest. This is a great segment explaining GMOs and why there are concerns. Kudos Fox News! Across the room, I was drawn to calm and peace, among dense noise and chaos. surreal blue, reflecting light. Easily lost in the tranquility. Imagining all the places to escape to. I return to my chair, heavy. Creating a custom Twitter background takes mere minutes. The only hang up you may have is aesthetics because there are so many options and filters, it's easy to get hung up on what you like best! I did a little research and found that creating a background with the dimensions of 1280x1024 works great. Now let's get started! First choose a photo that appeals to you! I HIGHLY recommend using a personal photo and not "borrowing" one from Google images or someone's website, unless you ask for permission. Two options here: CROP (with scissors in menu) or RESIZE. Unclick scale photo. This way you can set dimensions to 1280x1024. I prefer resize, I didn't want to lose any part of my image. Reminder, unclick keep proportions and percentages! 1280x1024 and Apply green button! Laundry has always clouded my ability to feel like an accomplished housekeeper. Over the years when Josh and I lived in apartments (for about 6 years) that didn't have a washing machine, we would take our laundry to the laundromat in trash bags. I know, we were super classy. Imagine me literally lining up 8 black trash bags and filling an entire row of machines. It pains me to even think about those days. We finally rented a house that had a tiny apartment sized washing machine, I had such visions of it changing my life, but I kept on with my same bad habits. Sometimes I would just load up all the laundry and hit the Laundromat for old times sake, how pitiful. ...replenish, moisturize, renew, rest, snuggle, relax, hydrate. 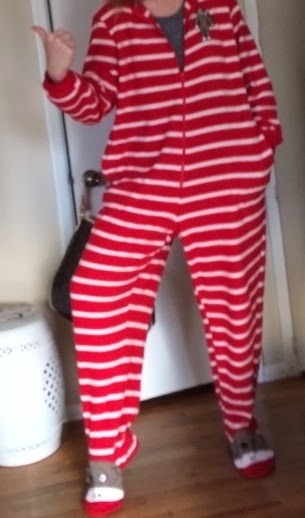 I'm turning in early tonight, with my sock monkey footy pajamas. After Boulder's 1,000 year rain/100 year flood in September, I fell head first into a deep dark place. I'm not even sure when I started to recognize myself, the beauty in sunshine or daylight again, but I am most certain it wasn't until late October. While people around the world were seeing images of Colorado's devastation, I had grown numb to seeing my community being washed away. 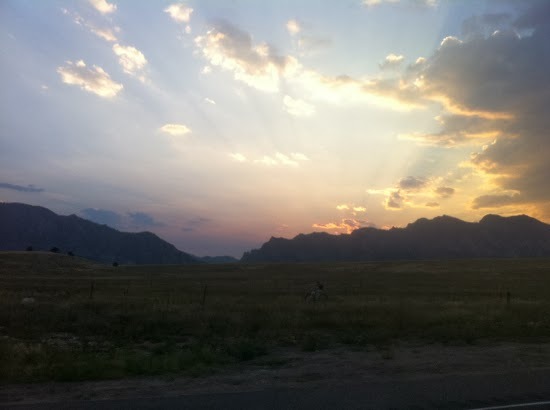 I first recognized how being bombarded with images is incredibly damaging on one's psyche during the heart wrenching Fourmile Canyon Fire in 2010. News outlets and social media feed upon dramatic photos during a natural disaster and when they are of places you know inside and out, it's like being punched over and over again with out being able to run away from your assailant. Light was streaming through my picture window in just the perfect way this afternoon to highlight the dust collecting on a stack of current magazines I keep on the shelf of my coffee table. I reached down to clear them off and put them away in a basket, when I realized my magazine storage basket was so stuffed to the gills that it was pulling apart on two sides from being too heavy. Immediately I thought, time to deal with the magazines. I'm not even going to get into how old my stack of current magazines are, but let's just say my pile was at least 50 deep. I grabbed an armful, a pair of scissors, and decided it was time to make a vision board. A cold and snowy day turned out to be a wonderful opportunity to sit around with a hot cup of tea and chop up magazines. 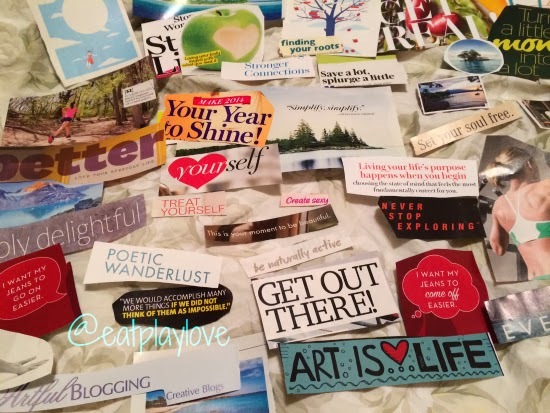 I sorted a few piles of clippings, one for my vision board, one with recipes, one with quick workout routines I could try at home, and one with house inspiration. As I pulled back the curtains and paused to see snow heavily falling in my backyard, I felt delighted. I walked over to my closet, perched myself up on the very tips of my toes and blindly stretched my arms to the top shelf looking for my buried long underwear. I pulled them out, along with some wool knee high socks, a pair of Josh's synthetic outdoor pants, a scarf, hat, gloves, my insulated boots, and down jacket. Bundling up always reminds me of my childhood when I learned how to embrace the long winters by making snowmen, sledding, carving out forts in snowbanks created by plows, or ice skating. For some reason the appearance of huge dense snowflakes gently floating to the ground just brightens the nostalgia inside me. I hit the sidewalk smiling. 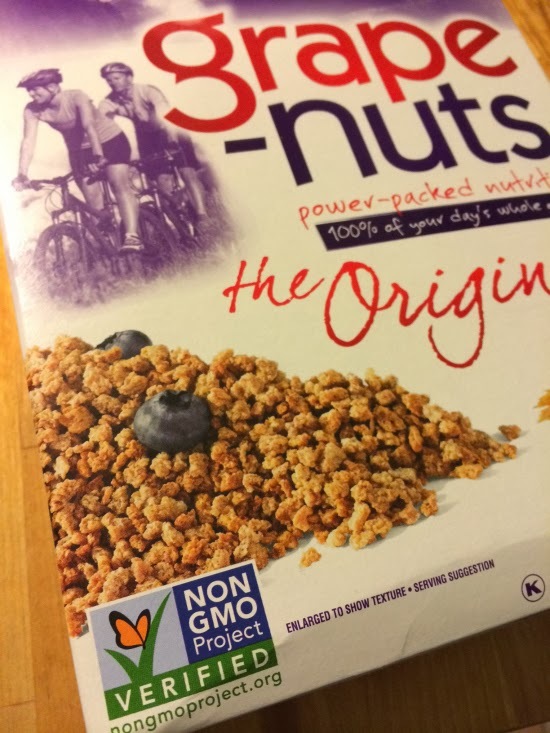 Last December General Mills found themselves in the middle of a PR nightmare, food activists and concerned consumers put the pressure on Cheerios about their usage of Genetically Modified Organisms in their cereals. It's common knowledge that the majority of consumers look to Cheerios as a "healthy" first finger food for their babies. What many consumers were disappointed to learn was that General Mills uses GM beet sugar (cheaper than non-GMO cane sugar) and also GM corn starch in Cheerios. The main ingredient in Cheerios is oats, which are not GM. Over the past year, General Mills has worked to create a GMO free version of their Original Cheerios. 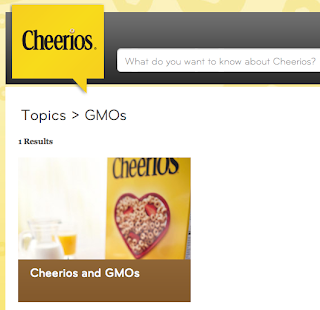 I was blown away to find an entire GMO FAQ on the Cheerios website, I advise you to skip the comments found on that page. I'm going to let you in on a little secret, I absolutely love the Do Not Disturb setting on my iPhone. I will admit, I might be a tiny bit distracted by my iPhone throughout the day. I find myself picking it up to check an email alert I just received and then I'll click on Twitter for a moment, oh and I better see what's happening on Instagram. Or I'll plug in my iPhone to charge in the living room and as soon as I step foot in the kitchen, I'll hear a text message alert. Of course, I have to walk over and make sure the President of the United States isn't trying to reach me and then before I know it, 20 minutes has passed. I do silence my iPhone, but it never fails that out of the corner of my eye I'll see the moment that my iPhone lights up with a notification. I have no willpower to ignore the notifications, whether they are beeps or flashes. Today Colorado made history, the very first recreational marijuana shops opened to the public. Now, let me emphasize these retail establishments are the very first of their kind in the United States of America and they just opened in my backyard. It's truly a historical day, there were media outlets from all over the world descending on Denver to get the story, from print media to cable news networks. I've been keeping a pulse on the coverage, watching conversations develop. Naturally with any hot topic in the media, you can learn quickly where people fall on the spectrum of their support or disdain. One of the most common questions that arises is, what are you going to tell your kids?